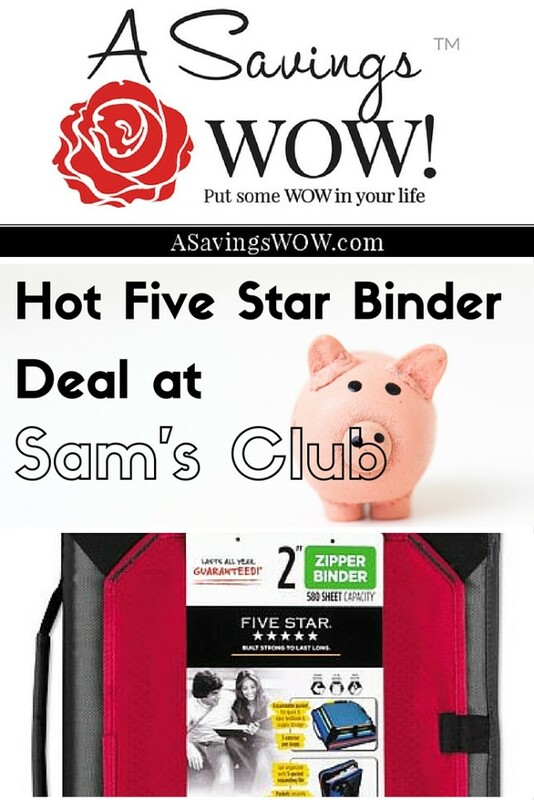 $12.88 for Five Star Binder | A Savings WOW! $12.88 Five Star Binder Shipped from Sam’s Club TODAY Only! Today only, you can get a Five Star Zipper Binder, 11″ x 8 1/2″, 2″ Capacity, for only $12.88 with free shipping from Sam’s Club (you need a membership)! These are great for keeping students organized, especially in middle school and high school. This price is one of the best prices we’ve seen for these types of binders. You can select from various colors, including blue, red and black.